Dr. Richard J. Salvatore Jr. Exams, X-rays & Cleaning! *In the absence of gum disease. Regular fee $282. Call us today! For some time now, silver fillings have been a topic of discussion in the dental industry. Patients are being told that they do not need to replace them, and it’s a hotly debated topic among dentist. Do silver amalgam fillings need to be replaced? 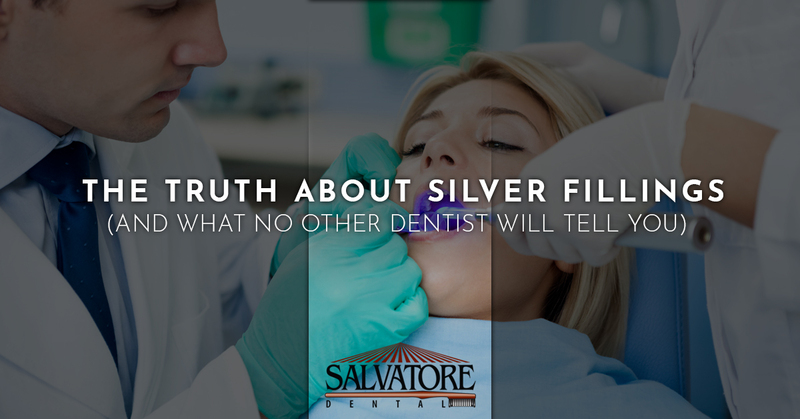 In this post, we’re going to share the truth about silver fillings that other dentists may not share with you. We want you, as our patients, to be as informed as possible when making the decisions to replace your silver fillings. If you’re ready to discuss your decision with a dentist in Malta, give us a call today to schedule your appointment. Otherwise, take the time to read this post to learn more about the dangers of silver fillings. Mercury is a serious health concern for humans. It’s a toxin, and it can cause long term health issues. This is where the fear of silver fillings resides. It’s been said that silver fillings leach mercury and other toxins through your mouth. It’s also been said that when you drink or eat hot beverages or foods, the leaching is increased. Fortunately, the FDA did a long term study on the leaching of mercury from silver fillings, and they showed that silver amalgam filling are not dangerous to those who have them in their mouths. However, the silver fillings are dangerous to teeth. Teeth, fillings, and other dental components contract and expand differently through their lifespan in your mouth. The drinking and eating of cold and hot edibles causes expansion and contraction of these dental components. Silver fillings are not immune to this change, which creates small gaps or spaces between the tooth and the filling. These crevices are perfect for bacteria to call home, producing more plaque and eventually tartar. What’s more, this process happens painlessly without you knowing. Until things get too serious or your Malta Dentist notices the issue, you could go years before realizing your silver filling has betrayed you. The process is simple. Give your local dentist in Malta a call and schedule an appointment. Let your family dental office know that you’re coming in to discuss replacing your silver fillings. You and your dentist will discuss your options and what’s the next best move for you and your oral health. Finally, you will schedule your dental appointment for the best dental treatment that fits your needs. When you make the decision to discuss your silver filling with your Malta Dentist or to replace the silver fillings altogether, call the dental staff at Salvatore Dental in Malta, NY. We will get you into our office and discuss your options. One common option is to replace your silver filling with a sealant, if it fits your oral health plan. Depending on the condition of the teeth that have a silver filling, your dental treatment may vary. Sealants are not for everyone, but it’s a good place to start. ©2016 Salvatore Dental. Do Not Copy. All Rights Reserved.